Incentives, competitive costs lure firms to region; will same recipe work for people? Home Bistro relocated from Vermont to Plattsburgh, N.Y. CEO Rob Murphy says the Empire Zone program was "a major factor." ew York Gov. Eliot Spitzer recently told a crowd in Rochester that the Upstate region needs a healthy "dose of optimism" to turn around the area's economy. The governor may want to talk to Rob Murphy, an Upstate company leader who's pretty optimistic already. Murphy is CEO of Home Bistro  a manufacturer and distributor of frozen gourmet meals  which was formed in 1999 in Vermont and moved to Plattsburgh in Clinton County in northern New York in 2002. Murphy tells Site Selection it was an easy decision to make. "We were operating in a Vermont Venture Center. As we expanded, we needed more space for production and distribution," he says. "We were lured over the border by the New York Empire Zone. The incentives we received for creating jobs here were a major factor." Home Bistro has invested nearly $10 million in Plattsburgh, where it now occupies 27,500 sq. ft. (2,322 sq. m.) and employs 100 workers in the Banker Road Business and Technology Park  a project funded and built by The Development Corp. of Clinton County. Murphy says that while the company's "preference was for Vermont, the incentives of the Empire Zone were so attractive." Under the program, qualifying employers can operate essentially tax-free for up to 10 years in New York. "Many of our senior staff still live in Vermont and commute across Lake Champlain," the CEO says. 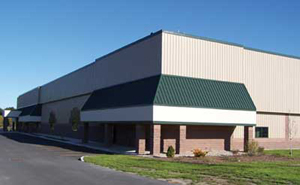 "The building and cost per square foot were critical factors in our site selection. We needed expandability. Plattsburgh offered clean, newer buildings at a low cost. We are located right next to a UPS distribution hub, and we can deliver our product across the country." Murphy is so optimistic that he's even mulling another expansion. "We may change this facility to one manufacturing plant and add a distribution center," he notes. "Everyone has enjoyed working here. We have a very good relationship with The Development Corp."
The Chevy Sequal drove into the history books earlier this year when the GM car became the first electrically driven fuel-cell vehicle to go 300 miles (483 km.) on one tank of hydrogen. 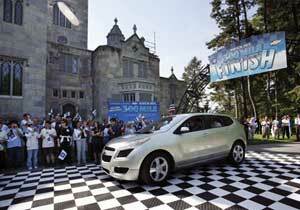 Engineers at GM's Fuel Cell Activity Center in Honeoye Falls, N.Y., developed the company's fuel-cell technology. because of its proximity to Canadian markets, access to Interstate 87, and the community's willingness to fund industrial parks and buildings on spec. That effort is paying off. Since 2004, Plattsburgh has ranked among the top 12 micropolitan areas in the U.S. for corporate facility expansions, reaching No. 2 in 2004. "We have excellent highway access, a strong rail corridor, a growing air presence and a very supportive state and county government," says Johnson. "We also have an excellent education system including our public schools, two-year community college and four-year state university  the State University of New York at Plattsburgh, which has about 5,000 students." Murphy says all of those assets played a role in convincing Home Bistro to relocate from Vermont. Plus, he says, he genuinely likes the community. "The culture here is very good," he says. "This is old-fashioned America. The people are very friendly and highly productive." He just wishes there were more of them. In fact, notes Murphy, "the biggest challenge for this region is labor. It is very difficult to attract folks from other parts of the country to the Northeast. The biggest cities nearby are Burlington and Montréal." Attracting people, as well as keeping them, seems to be the biggest work-force challenge facing all of Upstate New York. A recent report showed that the Upstate region lost 250,000 people between 2000 and 2005. The region lost twice as many 25-to-34-year-olds as the Downstate area; and employment growth in the Upstate was a negative 2.4 percent. Johnson says that Clinton County bolsters its population of 90,000 by drawing workers from Vermont and Canada. The area also draws more than its fair share of tourists, especially those interested in early American history. The Battle of Plattsburgh on Lake Champlain ended the War of 1812.
recent consultant's report may have painted a bleak picture of declining population and employment in Upstate New York, but the Conway New Plant Database tells another story. Of the 41 major corporate facility investments announced so far this year in New York state, 33 of them fall squarely in the Upstate region. APC Paper of New York, a manufacturer of recycled paper, is investing more than $9 million to overhaul its Norfolk paper mill in St. Lawrence County. The project retains 54 jobs. Syracuse Label Co., a manufacturer of pressure-sensitive labels, announced in June that it will invest $2.8 million into upgrading its Liverpool plant in Onondaga County. The expansion retains 85 jobs and adds six new workers. Great Lakes Cheese of New York announced July 23 that it plans to build a 142,000-sq.-ft. (13,192-sq.-m.) plant in Adams near Watertown in Jefferson County. The project retains 79 jobs and creates 10 new positions over the next three years. National Pipe and Plastics, one of the largest PVC pipe producers in North America, announced July 23 that it will invest $3 million in an expansion in Broome County. The project retains 164 jobs and creates 50 new positions. Sikorsky Aircraft is investing $8 million into a 68,000-sq.-ft. (6,317-sq.-m.) manufacturing plant expansion in Big Flats in Chemung County. About 200 jobs are being added to a work force of 475. Newton Falls Fine Paper is investing $21 million into expanding its operation in Newton Falls, where 97 jobs will be created over three years. Mirror Show Management broke ground earlier this year on a $4.7 million expansion that includes a 151,000 sq. ft. (14,028 sq. 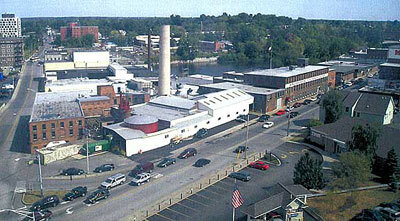 m.) of facility space in Monroe County in the Rochester area. About 15 new jobs are being created by the project. 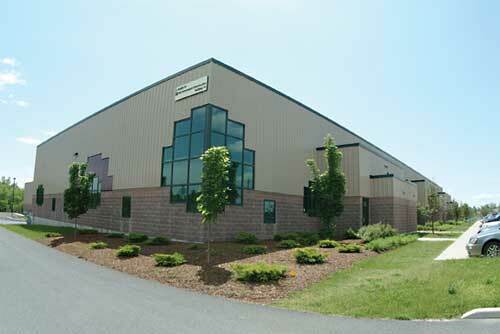 Mission ITECH Hockey is expanding its Plattsburgh operations by 80,000 sq. ft. (7,432 sq. m.) after outgrowing its existing 60,000-sq.-ft. (5,574-sq.-m.) plant in the Banker Road Business and Technology Park in Clinton County. Keeping people in the region long-term, say state officials and site selection consultants, is the key challenge. Gene DePrez, head of PLI-Global Location Strategies for IBM Global Business Services, says New York must tap into its considerable base of "underemployed, sophisticated labor." If New York can create and grow the kinds of companies that attract highly skilled, high-technology workers, DePrez says, it will recruit the talent needed to fill those jobs. New York has higher costs, he notes, but it also provides a "great technology and university base and manufacturing management know-how." In the Upstate, high-wage jobs are being created the fastest in these industries: aerospace, alternative and renewable energy, life sciences and financial services. Laurentian Aerospace is investing $140 million and hiring 900 workers at a new aircraft repair and maintenance plant in Plattsburgh. By 2012, the company plans to have 1,500 employees. The project benefits from a new $12 million terminal at Plattsburgh International Airport, which also invested $3.5 million into runway improvements. Noble Energy is building 180 wind turbines across northern Clinton County in the towns of Altona, Clinton and Ellenburgh. The combined $490 million investment creates 120 jobs and is one of dozens of alternative energy projects cropping up throughout the Upstate. Of the 14 largest corporate facility investments announced in the Upstate this year, four are in the energy sector. TransGas Development Systems is building a $2 billion coal gasification plant in Oswego County north of Syracuse; Renewable Power & Light is building a $24 million biodiesel plant in Saint Lawrence County; Mascoma Corp. is establishing a $20 million ethanol plant in Oneida County; and Empire AgriFuel is spending $18 million on a biodiesel facility in Cortland County. More alternative energy projects could be moving Upstate soon. The Rochester Institute of Technology announced the creation of the Golisano Institute for Sustainability on Sept. 12. Funded by a $10 million donation from Paychex Inc. founder and chairman Tom Golisano, the institute complements a region where groundbreaking research is already taking place in the renewable energy sector. General Motors and Delphi both maintain their top fuel-cell R&D sites in Rochester, where earlier this year GM made history by producing the first-ever hydrogen fuel-cell vehicle to travel 300 miles without refueling. In mid-October, it was revealed that the 92-acre (37-hectare) Village Sqaure industrial site next door to GM's Fuel Cell Activities Center in Honeoye Falls has been named by the state as Monroe County's first "shovel-ready" site, and the second in the Greater Rochester area. In the Buffalo-Niagara region of Western New York, financial services and insurance companies provide plenty of new jobs. HSBC, GEICO and Citicorp are major employers in the region and continue to show signs of strength. "We added 5,800 net new jobs last year, which was historic for the entire Upstate region," says Tom Kucharski, president and CEO of Buffalo Niagara Enterprise. "We are having success because we are providing water, power, shovel-ready sites and hard-working people for our major industries, including insurance and financial services and life sciences." Cleveland Biolabs announced the creation of 90 jobs paying an average annual wage of $95,000 in Buffalo. Taking advantage of Gov. Spitzer's brownfields and retrofitting agenda, the firm is reusing an older building and creating a medical campus in the brewery part of town that dates back to the old canal days. Echoing the sentiments of other officials in the region, Kucharski says the central question for employers is this: "Can I get the right people? Do I have the ability to attract and retain the work force and intelligence to complete?" After a nearly catastrophic fire a few years ago, the Knowlton Technologies mill in Watertown, founded in 1808, is coming back stronger than ever. The factory employs 103 people in the manufacture of engineered specialty and technical media, performance non-wovens and filled composites constructed from metal, glass, polymer, ceramic and natural fibers. On Sept. 5 a new portion of the plant, foreground, opened for business. Kucharski says his region produces that labor pool by offering degrees in bio-informatics and genomics at the University of Buffalo. "Throughout this region, we have a compelling continuum of science from Buffalo to Rochester to Syracuse to Albany," he says. "In addition, we offer a low cost of doing business that enables private industry to thrive." Among high-tech employers, the largest project announced this year came from International Sematech in Albany. In the state capital city, the firm will invest $600 million into a new headquarters and R&D facility in nano-electronics. Projects like that fit the target of Gov. Spitzer's Renew New York agenda, a plan to radically transform the economy and population of Upstate New York. The governor recently convened a series of meetings led by Dan Gundersen, chairman of the Upstate region for the Empire State Development Corp. (ESD). Forums to help create a "regional blueprint" were held Sept. 24 in Utica and Oct. 4 in Schenectady. Earlier this year, Gundersen visited Syracuse and discussed how the Upstate can transform itself into a more competitive region. He said the region must focus on helping existing industries grow, identify and benchmark growth industries, understand the power or universities and research, raise more private capital, lower the overall cost of doing business, and retrain workers by equipping them with new skills. His words concurred with those found in a landmark report prepared for the state earlier this year by consulting firm A.T. Kearney: "Before innovation economy businesses can flourish in New York state, it must become more attractive to all businesses. Existing impediments, whether stifling regulation, high taxation and costs, or poor communication with economic development agencies, need to be eliminated." The report, titled "Delivering on the Promise of New York State: A Strategy for Economic Growth & Revitalization," centered on the unique challenges facing the Upstate, but it also held out hope for change. "The dream of a technologically enabled future for New York state is as old as Stephen Van Rensselaer's musings and as new as the next idea popping into the mind of an Albany-based nano-technologist tomorrow morning," the report stated. "New York has always been a state for technology's dreamers. With a revitalized ESD's help, perhaps more of those dreams will become realities." What industries are growing the fastest in the Upstate? Back office, professional, scientific, and technical services, cleantech, renewable energy, health care, colleges and universities (which are major employers - often the largest employer - in each upstate region), distribution/logistics/warehousing, industries tied to the nanosicences, small firms growing out of our life science Centers of Excellence and agribusiness and food processing. What economic development strategies are you employing to grow, retain and attract companies in the Upstate? First, Governor Spitzer created an Upstate headquarters of Empire State Development in Buffalo and appointed me as Chairman to lead efforts focused 100 percent on Upstate, and on leveraging the assets and strengths of New York City "up here." Dan Gundersen (right), and his team at Upstate Empire State Development aim to help make a lot more projects happen in the region, such as Mission ITECH Hockey's growing operation in Plattsburgh, above. The governor is also taking on the costs for doing business overall. Already, for example, we achieved workers compensation reform that will significantly reduce premiums to employers - on average, a 20.5-percent reduction. It was talked about for decades. By coming together, the administration, legislature, business and labor communities finally made it happen. The new rates move New York's workers' compensation cost from nine percent above the national state mean to 14 percent below. Being below the national figure for a major cost of doing business sends a powerful signal to those who might consider investing in New York. New York has also just reduced the corporate tax rate from 7.5 percent to 7.1 percent, given special cuts to manufacturers from 7.5 percent to 6.5 percent and reduces the corporate alternative minimum tax. All told, about $140 million in business tax relief. It's all a start, a very good start. We're also focusing on key public sector investments in upstate urban centers. Not silver bullets, but a part of the bigger equation. And finally, to ensure our overall strategy is aligned with regional priorities we just yesterday completed seven regional blueprint working sessions across Upstate (Utica, Binghamton, Potsdam, Syracuse, Albany, Rochester and Buffalo). The goal was to have business leaders, economic development practitioners, developers and others in the regions - the people on the ground and in the trenches - work with us to pinpoint systemic changes New York State should consider as we develop an overarching strategy for Upstate revitalization. Total, about 400 local leaders participated. We know we need to partner with each region of Upstate (which are all unique) rather than create a one-size-fits-all approach that doesn't take advantage of each region's strengths. What role is alternative and renewable energy development having on the Upstate economy? Upstate New York is host to a rapidly growing renewable energy sector, including research and development, project construction and operations, and creation of new jobs. The renewable energy industry is playing a key role in the state's development of clean tech industries, and will add significant new sources of non-polluting electric energy for the state's grid while reducing harmful greenhouse gas emissions. The state has implemented a Renewable Portfolio Standard (RPS) to ensure that, by 2013, at least 25 percent of the electric energy used in the state will be produced by renewable resources. The New York Public Service Commission and New York State Energy and Research Development Authority recently reported the approval of contracts for 26 renewable generation facilities with more than 800 MW of installed capacity; many of these projects, including wind generation and hydroelectric facilities are located in the upstate region. The projects are expected to generate of $1.9 billion in investment. As a result of the RPS, New York is a leader in harvesting renewable wind energy. The Maple Ridge Wind Farm developed by PPM Energy and Horizon Wind Energy operates 120 wind turbines with plans for another 75, and will produce 320 megawatts of electric power. This is enough to supply over 500 homes with electricity and is the largest project east of the Mississippi River. New York is also benefiting from the growth in the biofuel industry. The Upstate region has strategic advantages in this industry such as access to deep water ports along the St. Lawrence Seaway and the Hudson River, rail access and interstate trucking routes. All of these are important components for transporting corn, soybeans, willow and other renewable feed stocks in an efficient manner. The region is also close to the fuel oil markets in the eastern United States and companies such as Northeast Biofuels and Mascoma have sited plants in New York to take advantage of these benefits. The General Electric Company, an industry leader in wind power, recently announced that 150 Renewable Energy engineering jobs will be created at its upstate manufacturing facility in Schenectady, New York. These engineers will work on developing and advancing GE's Wind Energy business in an industry that is rapidly growing in New York State and throughout the world. New York's hydro power in the Buffalo/Niagara and Massena regions has been the foundation for several industries that could not locate anywhere else. The low cost renewable power serves to draw new manufacturing investment to the Upstate economy. Fuel cells and hydrogen energy development have been a mainstay in Upstate economy. The region is home to General Motors Corporations' M's fuel cell division as well as Delphi Corporation's research group that aim to use fuel cells in the transportation industry. Additionally, both Plug Power Inc. and MTI Micro employ hundreds of fuel cell scientists and engineers in upstate New York. The State University of New York (SUNY) is a leader in the research and development of renewable energy technologies. The Centers of Excellence at SUNY Albany in Nanoelectronics and at SUNY Syracuse in Sustainable and Renewable Energy are working to develop future technologies in areas such as renewable fuels production, energy efficiency and the design of buildings. These Centers of Excellence collaborate with other upstate universities and private firms to develop and commercialize these technologies. How are you positioning the Upstate to become a national and global leader in life sciences? The New York State Center of Excellence in Bioinformatics & Life Sciences was created in Buffalo, as part of more than $200 million dollars in investment from state, federal, industry and philanthropic sources to create a hub of life sciences expertise and innovation in Upstate New York. The Center brings a strong foundation in life sciences research and discovery and collaborative efforts with industry, government and researchers. Partner research institutions include the University at Buffalo, Roswell Park Cancer Institute, and Hauptman-Woodward Medical Research Institute. Central New York is continuing its strong presence in the biotech industry with the creation of the Central New York Biotechnology Research Center - a project that will establish the Syracuse area as a leading center for plant and animal biotechnology research. The SUNY College of Environmental Science & Forestry along with Syracuse University, Upstate Medical Center, Cornell University, and local bio-manufacturing companies such as Bristol-Myers Squibb, Invitrogen, Pall Filter Company, and Welch Allyn are collaborators. Cornell University's Institute for Biotechnology and Life Science Technologies, a focal point for bringing together university scientists conducting research in the biological and physical sciences, also promotes the education and training for those in this discipline. University of Rochester's Aab Institute of Biomedical Sciences enhances the University's strong biomedical research program by providing an environment that fosters interdisciplinary research and collaboration. What are you doing to make work-force development even more competitive throughout the region? This August Governor Spitzer formed an Economic Security Cabinet to provide new focus on the needs of working families, including workforce development. The governor is working to coordinate efforts between the business community and government to make sure that we are investing in the training that businesses need. Initiatives include the Advance New York program that provides funds for training that will result in higher wages for workers, and the Regional Economic Transition Strategy, which will help communities identify emerging industries and develop training to meet those businesses' needs. The governor also announced a new commitment to EDGE programs across the state that provide instruction in English as a Second Language, adult basic education, GED preparation, and targeted job skills training in high-demand occupations. Empire State Development is very committed to strengthening the ties between work-force development and economic development. Our goals are to refocus ESD's own workforce efforts and to partner more closely with the State Labor Department on workforce programming, particularly as it supports growth in key industry clusters upstate. As a result, the agency recently hired a Director of Workforce Development to head these efforts Upstate. What infrastructure investments are needed to enhance the competitive position of the region? Upstate's transportation backbone is the 496-mile [789-km.] Governor Thomas E. Dewey Thruway, the longest toll superhighway system in the United States. This mainline provides the 426-mile [685-km.] connection between the state's two largest cities, New York City and Buffalo. Maintaining the existing high quality of access and service provided by the highway system and providing that service at an attractive cost is a priority for Upstate New York economic development efforts. Vast new highways systems do not need to be built, but we need to assure that our highway system is efficient for commercial users, that it extends to the places where commercial and industrial facilities need it to go, and that our citizens are able to get to and from their jobs. Air service is a high priority in the Upstate New York. We will continue to improve services at major commercial airports and look for ways to enhance the frequency and quality of service provided by existing and new commercial carriers serving the Upstate area. We will also look at and maintain steady support for the increasingly popular business service oriented smaller airports in response to the shift by businesses more frequently use privately owned, smaller aircraft offering point-to-point service to smaller airports closer to business facilities. Finally, air cargo/freight facilities are something communities such as Niagara Falls and Plattsburgh are focused on developing as an asset. New York State has maintained strong commitments to high levels of both freight and rail passenger service. We will be looking hard at upgrading key railroad corridors where bottlenecks now exist. We will extend rail service on an as-needed basis to places where service is needed. We will support the increasing reliance and need for improvement in freight handling systems as an economic opportunity and also as an energy efficiency measure. We will support creation, expansion and proper support for intermodal terminals including specialized terminals designed to serve specific industrial needs. Some areas of Upstate still require basic investment in water supply and sewage treatment systems and many areas of the state have aging water and sewer infrastructure systems that will require serious periodic maintenance and upgrades to meet current standards. We will devote resources to assure that our water supply and sewage treatment system capacities match or exceed the levels of service needed to support new economic growth and economic expansion in Upstate New York. Broadband service is uneven in some parts of the state and we're going to address that. Broadband is absolutely essential as a service to support the integration of our industrial production facilities with other organizations throughout the U.S. and the world. Further, broadband access is important to work-force development, high quality educational systems and high-technology economic activities that are needed to support the industries of the future that we hope to attract to the state. ©2007 Conway Data, Inc. All rights reserved. SiteNet data is from many sources and not warranted to be accurate or current.